Using a gun safe is the most fool-proof way to store your firearms out of the reach of unauthorized people. Storing other items in your safe is not a good decision unless the safe is designed for commercial use and has been professionally installed. Only in these cases will the gun safe be super difficult to force open, even by the most vicious criminals out there. However, the gun safe is still not a great place to store valuables. Don’t store ammunition inside the safe or else it will make it easier for others to use the firearm. Reloading presses from our best reloading press reviews should also be ​stored away from the safe. Sentimental Belongings - Do you have old cards and letters you don't want to lose? Consider storing them with the firearm. Sure, you could put the cards on display on the refrigerator, but then you wouldn't have the place to hang your kid’s drawings now, would you? Valuable Jewelry - Along with jewelry that might have been passed along as a family heirloom, any expensive necklaces or other pieces you have can be stored in a safe. While it's nice to have them on display, if a burglar does break in, that is an easy target for something they can quickly steal. 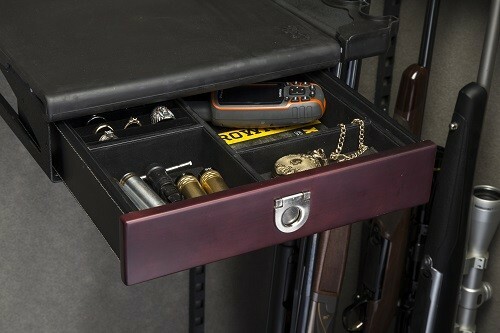 A gun safe is an indispensable tool and is possibly the most secure way to store your firearm. Essential Keys - Do yourself a favor and don't store important keys inside the safe. Somebody can run away with the entire safe, and you'll be left searching for a locksmith. That is now the way you want to be protecting your home. Rechargeable Humidifier - You’re supposed to decrease moisture levels inside the safe so don’t confuse a humidifier with a DEhumidifier as that can have terrible effects on the safe. Ammunition - Now, this is serious. Consider storing the ammunition and the firearm separately. This way, if anybody tries to break into the safe, they won't be able to use the gun. Keep the guidelines mentioned above in mind while storing items in the safe. 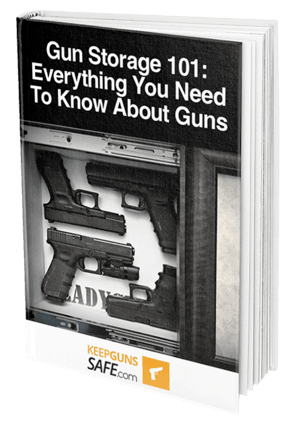 However, if you feel like you need mo storage, consider building your own gun safe room.